DHFL, the third largest home loan and housing finance company in India, always aims at reaching to its customers with great service and perfect information. Home is one of the primary needs of every human being. It is in a home that new dreams are nurtured & families are raised. At DHFL, they vision to enable every Indian to own a home of your own. With the Government’s initiative under ‘Pradhan Mantri Awas Yojana’, DHFL introduces ‘Jan Awas Home Loans’ exclusively for Economically Weaker Section (EWS), Low Income Group (LIG) and Middle Income Group (MIG) 1 & 2 customers under Credit Linked Subsidy Scheme (CLSS). This Scheme is in-line with the Govt. Of India’s initiative “Housing for all by 2022” & aims to make the dream of owning a house for thousand a reality. The product is to target EWS, LIG and MIG 1 and MIG 2 customers in the urban market. First time home buyers i.e. a household who does not own, at present, any pucca residential house in India and wishes to buy a dream home for his/ her stay may avail the benefit under this scheme. Loan Amount: For EWS and LIG, avail a Home Loan of up to ` 25 lacs including insurance, and for MIG avail a home loan up to ` 140 lacs including insurance (minimum loan amount ` 50,000 excluding insurance). Tenure & Term: The tenure of your Home Loan ranges from 1 to 30 years. The term, however, does not extend beyond the retirement age or 60 years, whichever is earlier (70 years for self-employed individuals). Purpose: Credit Linked Subsidy will be available for housing loans availed for new/ resale purchase of home, construction loan for all segment and additionally for EWS/ LIG, extension / improvement of rooms, kitchen, toilet etc., to existing dwelling can be done. Interest Subsidy: For EWS and LIG, the credit linked subsidy will be available only for loan amounts up to ` 6 lacs and such loans would be eligible for an interest subsidy at the rate of 6.50% p.a. (Approx. ` 2.67 lacs), for tenure of 20 years or during the tenure of loan whichever is lower, to the eligible customers under the scheme. * For MIG 1 customers, subsidy will be applicable for loan amounts up to ` 9 lacs and such loans would be eligible for an interest subsidy at the rate of 4% p.a. for tenure of 20 years. For MIG 2 customers, subsidy will be available for loan amounts up to ` 12 lacs and such loans would be eligible for an interest subsidy at the rate of 3% p.a. for tenure of 20 years. Processing Fees on loan amount as per maximum subsidy applicable (as per customer applicability) to be refunded once claim is received from NHB. Through ECS (Electronic Clearing Service) based on standing instructions to your bank. Post Dated Cheques (PDCs) drawn on your Savings/Salary account. Home Loan Tax Benefits: Resident Indians are eligible for certain tax benefits on principal and interest components of a home loan. As per Income Tax Act 1961 rules, the current applicable exemption under section 24(b) is ` 2,00,000/- for the interest amount paid in the financial year and up to ` 1,50,000/- (under section 80 C) for the principal amount repaid in the same year. Applicant and Co-Applicant: Home Loans can be applied by an individual. The loan amount can be further enhanced by including an earning co-applicant. Female property ownership mandatory for EWS/ LIG category and not mandatory for MIG category. Female property ownership mandatory only for EWS/ LIG and not mandatory for MIG 1 & MIG 2 category (for EWS/LIG customers, only in cases when there is no adult Female member in the family, the property can be in the name of male member of the household, or in cases of construction loan, if land is purchased before the scheme start date, the property may be in the name of male member of household). Loan applicant should not have availed any central or state government subsidy or benefit for housing under PMAY. Individual loan applicant should not own property under his or her name at present & along with any of the family members including dependants. Not applicable on renovation or improvement loans for MIG. Property should be in urban areas basis 2011 census. 1. KYC Documents & Photograph for all applicant. Aadhar is mandatory for all applicants. For Self Employed: Income Tax Returns with other financial of last two years and bank statement. 3. For identification as an EWS or LIG beneficiary under the scheme, an individual loan applicant will submit self-certificate/affidavit as proof of income. Planning to buy a home? If you had short-listed DHFL as one of your home loan finance options, we are with you at the knock of your door to fulfill a smoother process. Getting into loan with loanyantra is not just availing home loan but also managing your loan till the end. Loanyantra will also ensure you get the loan for the required from the best fit banks or housing finance companies. Plan your loan well with the subsidy scheme and close it earlier than expected. Indiabulls home loan, one of the leading housing finance companies is at par with the SBI and the private gaints ICICI and HDFC banks in reducing the interest rates on home loan and also making the home loans easier and accessible to the customers. 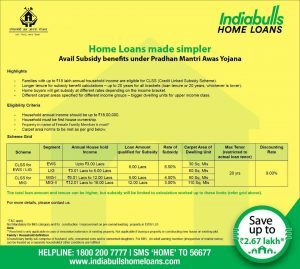 Here we go with more details on the Pradhan Mantri Awas Yojana- Credit Linked Subsidy Scheme by Indiabulls. The Pradhan Mantri Awas Yojana (PMAY) Credit Linked Subsidy Scheme (CLSS) is a scheme launched by our honourable Prime Minister Shri Narendra Modi for the Economically Weaker Section (EWS) and Low Income Group (LIG) of people. Through this scheme, the beneficiary is eligible to avail interest subsidy on the purchase/construction of a house. The PMAY by Indiabulls home loan scheme is also available for the enhancement of a dwelling unit. Family income should not exceed ₹6 lakh p.a. Woman has to be owner/co-owner of the property. Celebrate the joy of belonging to your OWN home! Begin your own story and create memories in a place you can call your ‘own’. Indiabulls Home Loans provide the most convenient home loan at the most attractive interest rate. Loanyantra, a one stop solution for all your needs, is always a perfect guide for you at any stage. Let us know your home loan plan and we will suggest you the path to take. If you meet the criteria for the PMAY-CLSS scheme, and if you wish to get home loan from Indiabulls, we are here, as we partner with Indiabulls home loans, to get things done faster and exactly according to your plan. 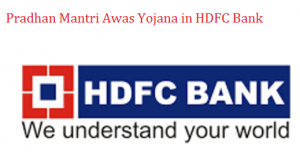 Pradhan Mantri Awas Yojana (PMAY) – Credit Linked Subsidy Scheme ( CLSS) by HDFC bank. Ministry of Housing and Urban Poverty Alleviation (MoHUPA) has introduced in June 2015, an interest subsidy scheme called Credit Linked Subsidy Scheme (CLSS) under Pradhan Mantri Awas Yojana (URBAN)-Housing for All, for purchase/construction/extension/improvement of house to cater Economical Weaker Section(EWS)/Lower Income Group(LIG)/Middle Income Group (MIG), given the projected growth of urbanization & the consequent housing demands in India. Here are the FAQs on the scheme by HDFC bank. 1Q. Who Can Avail Subsidy Under Credit Linked Subsidy Scheme (CLSS)? 1A. A beneficiary family not owning a house in any part of the India is eligible for this subsidy subject to income criteria as defined for the family. 2Q. What Is The Definition Of Beneficiary Family? 3Q. What Are The Income Norms For EWS, LIG And MIG Categories? 4Q. Is This Applicable For Properties In Rural Areas? 5Q. Is Woman Ownership Mandatory To Be Eligible For This Subsidy? 5A. Woman ownership or co-ownership is mandatory for EWS and LIG. However, this condition is not mandatory for self construction/extension or MIG categories. 6Q. What Is The Process Of Claiming Interest Subsidy? 6A. After the loan is disbursed, the required details are sent by HDFC to NHB for validation of data and other checks. NHB after necessary due diligence approve the subsidy to eligible borrowers. 7Q. How Will I Receive The Interest Subsidy Benefit? After the loan is disbursed, the HDFC will claim subsidy for eligible borrowers from National Housing Bank (NHB). NHB after due diligence would approve & credit the subsidy amount to HDFC for all eligible borrowers. The subsidy will be calculated on the NPV (Net Present Value) method at a discount rate of 9%. On receipt of subsidy amount from NHB , same is credited to respective home loan account of the borrower and EMI is reduced proportionately. 8Q. What Happens When The Subsidy Has Been Disbursed But Due To Certain Reasons, The Construction Of The House Is Stalled? 8A. In such cases, the subsidy is to be recovered and refunded to the Central Government. 9Q. Can A Beneficiary Family Get A Loan Term Beyond 20 Years? 9A. Yes, beneficiary can avail a longer term beyond 20 years as per HDFC credit norms but the subsidy will be restricted to a max term of 20 years. 10Q. Is There Any Limit On The Loan Amount Or The Cost Of The Property? 10A. No, but the subsidy will be limited to the loan amount defined against each category and additional amount will be at non- subsidized rate of interest. 11Q. How Will The Interest Subsidy Work In Case I Transfer My Home Loan To Another Lender? 11A. In case a borrower who has taken a housing loan and availed of interest subsidy under this scheme but later on switches to another lending institution for balance transfer, such beneficiary will not be eligible to claim the benefit of this scheme again. 12Q. Where Can I Apply For Credit Linked Subsidy Scheme (CLSS)? 12A. You can apply for housing loan under CLSS at any HDFC branches. 13Q. Do I Have To Give Any Additional Documents To Avail This Subsidy? 13A. No, there are no additional documents except a self declaration of not owning a pucca house in the format as available in HDFC offices. 14Q. Can NRI Avail PMAY by HDFC bank? Getting things done in modern days has become easier with just a click. Get subsidy on your loan and know more details about your favourite bank and the top competitive banks via loanyantra. We are a click away to avail home loan for you. Plan you loan well with us and save more. Pradhan Mantri Awas Yojana, PMAY by ICICI bank provides more information about the scheme.The scheme was announced by our Honourable Prime Minister Narendra Modi and envisages the vision of housing for all by the year 2022. Know more by following the below FAQs on PMAY by ICICI bank. 1Q. Who can avail Pradhan Mantri Awas Yojana PMAY under credit linked subsidy scheme? Meeting income criteria defined under the scheme. 2Q. What is Pradhan Mantri Awas Yojana Credit linked subsidy scheme? 2A. Credit Linked Subsidy, is a scheme launched by our honourable Prime Minister Shri Narendra Modi for Economically Weaker Section (EWS) and Low Income Group (LIG). The beneficiary would be eligible for interest subsidy on purchase/construction of a house. The scheme is also available for enhancement of a dwelling unit. 3Q. What is the interest rate subsidy and the loan amount for PMAY? 3A. Beneficiaries of Economically Weaker section (EWS) and Low Income Group (LIG) seeking housing loans would be eligible for an interest subsidy at the rate of 6.5% for a tenure of 15 years or during tenure of loan whichever is lower on the initial Rs. 6 Lakh. Any additional loan/s beyond Rs. 6 Lakh, will be at nonsubsidised rate. 4Q. How will you receive the interest subsidy benefit under PMAY ICICI bank? 4A. The bank will claim subsidy benefit for eligible borrowers from National Housing Bank (NHB). The NHB will conduct a due diligence to exclude claims where customer has submitted multiple request. For all eligible borrowers, the subsidy amount would be paid to the Bank. Once the bank receives the interest subsidy, it will be credited upfront to the Loan Account. The subsidy will be calculated on NPV basis at the rate of 9% discount rate. *The above example is for illustration purpose only and will depend on the actual amount received or any changes done by NHB on the same. 5Q. Is there any loan amount limit on PMAY by ICICI bank? 5A. No, there is no loan amount limit under this category of loans by ICICI bank. 6Q. What are the norms for EWS and LIG categories? 7Q. Where can you apply for credit linked subsidy scheme? 7A. You can apply for Housing Loan under CLSS at any ICICI Bank branch. 8Q. Do you have to give any additional documents to avail Pradhan Mantri Awas Yojana, PMAY by ICICI Bank? 8A. Just one additional document of declaration of not owing a pucca house in your name. 9Q. If you are a self-employed with a small business, can you avail Home Loan under Pradhan Mantri Awas Yojana, PMAY in ICICI Bank? 9A. Yes, you can avail this facility, if you qualify for the income criteria defined under this scheme. Illustration: Pradhan Mantri Awas Yojana, PMAY, is a government subsidy scheme for families buying their first house, though there is no upper Loan Amount and Tenure cap for the scheme, however the subsidy benefit would be available on the initial Rs. 6 Lakh. It would be computed at a rate of interest of 6.5% p.a on a maximum amount of Rs. 6 Lakh or the loan amount whichever is lower for 15 years tenure with discounting rate of 9%. For 6 Lakh the interest subsidy comes to around Rs. 2,20,000. Hence an upfront subsidy of Rs. 2,20,000 would be claimed by the bank from NHB and the same would be adjusted against the outstanding amount in the Loan Account. The loan outstanding would reduce and result in lower EMI of approximately Rs. 2,000. 10Q. What is the size of dwelling units under Credit Linked Subsidy Scheme under Pradhan Mantri Awas Yojana? 10A. The Credit Linked Subsidy is available for housing loans availed for new construction and addition of rooms, kitchen, toilet, etc. to existing dwellings as incremental housing. The carpet area of houses being constructed under this component should be up to 30 sq. m. for EWS category and up to 60 sq. m. for LIG category. However, the beneficiary can construct a bigger house. SBI slashes home loan interest rates and yet again intensifies competition among the lenders by reducing the home loan interest rates by 25 basis points. ICICI and HDFC, the prime private lenders followed SBI for a further reduction of home loan interest rates basis points. Indiabulls, one of the largest financial institute, takes the same path as the pioneers SBI, ICICI and HDFC. For loan upto Rs. 30 lakh, pay 8.35% home loan interest rate, if you are a women borrower and 8.4% for others. For loan from Rs. 30 lakh to Rs. 75 lakh, pay 8.5% for women and 8.55% for others; for above Rs. 75 lakhs, pay 8.55%. Get more discount on home loans from your favorite banks. Go via Loanyantra to the most recommended banks in India to avail the lowest home loan interest rates ever. Whether it is a new home loan or a balance transfer, we plan it for you to save the maximum on your home loan. Know more tips and suggestions for free, on home loan and its management. It is time to enjoy the benefits of low home loan interest rates. Never wait for your dream home. Think positive, choose an affordable house and avail all the benefits in home loan. Real estate bill 2016 – What you should know. The real estate sector in India has always been looked upon as an unorganized sector governed by diverse state laws and particularly lacking the transparency and accountability of the promoters/developers to the buyers vis- a- vis the completion of the projects resulting in delays on committed schedules. To protect the interest of the buyers and infuse some uniformity in these diverse state enactments, the Government of India has recently passed the Real Estate Regulatory Act, 2016 (“Act“) which seeks to protect the interest of the buyers of residential and commercial real estate units by promoting transparency, accountability and efficiency in the construction and execution of real estate projects by developers/promoters. The major portions of the Act have been made effective from May 01, 2017 kick-starting the process of making rules as well as putting in place institutional infrastructure to protect the interests of the consumers. One of the major requirements under the Act is the compulsory registration of every project by developers/promoters with Real Estate Regulatory Authority (RERA) including those that have not got completion or occupancy certificates. The Act contains several provisions to address the lacunae in the real estate sector, largely by way of establishing a disclosure framework and setting strict liabilities for promoter irregularities. Registration with Real Estate Regulatory Authority: Registration has been made mandatory for all the real estate projects with the RERA, if the total area of land proposed to be developed exceeds 500 square meters or if more than eight apartments are proposed to be developed inclusive of all phases. Projects cannot be advertised, booked or sold in any form prior to registration and obtaining the necessary construction approvals. Real estate agents are also compulsorily required to obtain registration from RERA. RERAs shall be established within a period of one year and till the time being the Government will be specifying the relevant authorities for the purpose of registration under the Act. Any transfer or assignment of majority rights and liabilities by the promoter to a third party is subject to prior written consent from two-thirds of the allotees and RERA. The promoter is prohibited from creating any charge or encumbrance on any apartment after executing an agreement for the same. The promoter is responsible for structural defects or other deficiencies for a period of 5 years from the date of delivery of possession. The promoter cannot make any addition or alteration in the approved and sanctioned plans, structural designs, specifications and amenities of the apartment, plot or building without the previous consent of the allottee and 2/3 rd of the allotees in case of common areas/amenities. Prior to execution and registration of a sale agreement, a cap of 10% of the cost of the apartment, plot, or building has been imposed as an advance payment or an application fee . Delay in Handover: Delay in handing over the developed property and failure to achieve the committed schedules by the promoters was seen as the major problem faced by the buyers. The Act now prescribes that in case the promoter is unable to hand over possession of the apartment, plot or building to the allottee in accordance with the terms of the agreement of sale or for any other reason, then (i) the promoter will be liable, on demand, to return the amount received by him from the allottee with interest and compensation; or (ii) in case the allottee does not want to withdraw, then he will be entitled for the interest amount for the delayed period. Change in Pricing Norms: In order to protect the buyers from the abuse of any ambiguous sale tactics, the requirement of sale of units on the basis of carpet area criterion has been imposed. Carpet area essentially means the net usable floor area of an apartment and excludes the area covered by the external walls, areas under services shafts, exclusive balcony or veranda area and exclusive open terrace area, but includes the area covered by the internal partition walls of the apartment. Warranties on the legal title: In an attempt to protect the buyers from any dispute or adverse claims on the authenticity of the title over the land or the project, the promoter is now required to declare and authenticate the legal title to the project land. Legal Recourse: No civil court has a jurisdiction to entertain any suit or proceeding (including injunction proceeding) in respect of any matter which RERA or the adjudicating officer or the appellate tribunal is empowered by or under the Act. The Act provides for time bound resolution of complaints and disputes by the RERAs and the real estate appellate tribunals. Stringent Penalties: Till now only buyers were the sufferers in case of any delay in the completion of project. But now as a deterrent measure to ensure the compliance of the Act and timely completion of all the obligations of the promoters, stringent penal provisions including penalty may be up to 10% of the estimated cost of the project in case of defaults by the promoters; up to 5% of the estimated cost of the project in case of any default in disclosures and/ imprisonment of up to three years with or without fine have been prescribed under the Act. Additionally, the penal provisions have also been prescribed for any contravention or violation committed by the real estate agent or the buyer in certain cases. Shortcomings: Few missing aspects still need to be looked into and supplemented to the Act like (i) the adequate measures to curb the black money usage in real estate transactions and (ii) the accountability of Governmental officers in relation to delay in providing approvals and permissions. It is required that once implemented, the upshot of the requirement of maintaining a separate account for depositing 70% of the receivables should be closely monitored so that the same does not result in promoters opting for bank or other mode of finances and thereby ultimately raising the price! 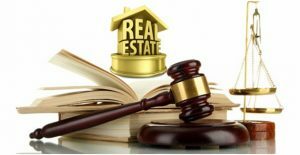 Author keerthiPosted on May 4, 2017 May 3, 2017 Categories Loanyantra, Real EstateTags Real estate, real estate act, real estate bill, rera1 Comment on Real estate bill 2016 – What you should know. Is Your Property Eligible For Home Loan? Searching for a home loan is as important as you search for a perfect house. It is also important to know if the property you choose is eligible for home loan. Getting home loan has become simple these days, with many banks and financial institutes providing lower interest rates. But it is always important for the banks to consider if the property is eligible for home loan. Hence, the first step by the banks when you apply for a home loan is, informing whether the property is eligible for home loan. In India, financial institutes are relatively flexible than nationalized banks. However, the banks as well as financial institutes, in their websites mention the builder’s name list or property’s name list. It is easier for those who want to self-check before even applying for home loan. The list is maintained for all those properties which are already legally checked and which are already under home loan. All the nationalized banks or private banks are particular with the government certificates and also the technical and legal issues of the property. If there is a deviation in the property, it is always better to opt for a financial institute or NBFC for a home loan. It so happens at times with the under construction properties, the builder recommends a bank for home loan. Though the property is under violation, the builder might manage to get a tie-up with a bank. Loanyantra recommends to go for a thorough check before even applying for a home loan and before even looking forward to get that home. Searching for a home loan is always made easy with us. Just give us a missed call to 040-71011991. We do it right for everything you need for a home loan. Author keerthiPosted on May 3, 2017 Categories eligibility, Loanyantra, property eligibilityTags eligibility, property eligibleLeave a comment on Is Your Property Eligible For Home Loan? Gone are the days – applying for a home loan again and again on the same property even when you are in home loan already with the property. Central Registry, a Government Company by the Public Sector Banks and National Housing Bank, formed in 2011, closed all the ways to take loan from multiple banks on the same property. Once the loan is sanctioned by the nationalized banks, central registry has all the respective details. So, if an individual applies for the loan on the same property again, it is impossible to avail such loan. One can apply for a balance transfer but cannot avail two home loans on same property. CERSAI (Central Registry of Securitisation Asset Reconstruction and Security Interest of India), came into effect from March 31, 2011. It is mandatory that all the banks register in the central registry, the mortgage within a month it is offered. * Maintains a central registry of property on which loans have been availed. * Develops a web-based system for financial institutions and general public to access the information on mortgaged property. * Collects and decimates information regarding the amount secured by the charge on the collateral. * Maintains history of charges created and satisfied on a particular property. * Enables lenders to get real-time current information regarding the security offered by the borrower. * Provides potential buyers information about any encumbrance on the property they intend to buy. Two home loans on one property is not possible as CRESAI has all the records of properties on which loan is availed. Not only the banks, but also the public can access by filling a form. One can get to know if their suggested property is already in loan by paying a minimal fee. CERSAI reduces the fraud practices such as forging the documents for getting a loan, getting two home loans on the same property, etc. But one cannot take into account properties on which loan has been borrowed from a non-banking finance company. This will again limit the registry’s ambit. 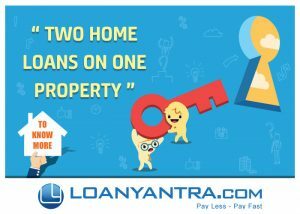 Loanyantra, first online home loan management company, manages your home loan from the time you start your home loan search. We help you to know if your property is eligible for home loan and get you home loan from your favorite bank. Real Estate Bill – The Salient Features. After a lot of opposition, deliberation and several amendments, the Rajya Sabha has, on 10 March 2016, approved the Real Estate (Regulation and Development) Bill, 2016 (Bill/Act) which substantially amends the original Real Estate (Regulation and Development) Bill, 2013. The Bill largely seeks to protect the interest of the allottees/purchasers by promoting transparency, accountability and efficiency in the construction and execution of real estate projects by promoters. It also holds the promoters accountable for not registering their projects with the Real Estate Regulatory Authority (Regulatory Authority) or for providing insufficient information regarding their project. In addition to the promoter and allottees, the Bill also brings real estate brokers who facilitate the sale and purchase of units in a project within its ambit. Under the Bill, instead of a regular forum of consumers, the purchasers of real estate units from a developer would have a specialised forum called the “Real Estate Regulatory Authority” which will be set up within one year from the date of coming into force of the Act. In the interim, the appropriate Government (i.e., the Central or State Government) shall designate any other regulatory authority or any officer preferably the Secretary of the department dealing with Housing, as the Regulatory Authority. The promoter has to register their project (residential as well as commercial) with the Regulatory Authority before booking, selling or offering apartments for sale in such projects. In case a project is to be promoted in phases, then each phase shall be considered as a standalone project, and the promoter shall obtain registration for each phase. Further, in case of ongoing projects on the date of commencement of the Act which have not received a completion certificate, the promoter of such project shall make an application to the Regulatory Authority for registration of their project within a period of three months of the commencement of the Act. Projects for the purpose of renovation or repair or re-development which does not involve marketing, advertising, selling and new allotment of any apartment plot or building. A declaration by the promoter supported by an affidavit stating that: a) he has a legal title to the land, free from all encumbrances, and in case there is an encumbrance, then details of such encumbrances on the land including any right, title, interest or name of any party in or over such land along with the details; b) the time period within which he undertakes to complete the project or the phase; and c) 70% of the amounts realised for the real estate project from the allottees, from time to time, shall be deposited in a separate account to be maintained in a scheduled bank to cover the cost of construction and the land cost and shall be used only for that purpose. Under the Bill, developers can sell units only on carpet area, which means the net usable floor area of an apartment. This excludes the area covered by the external walls, areas under services shafts, exclusive balcony or verandah area and exclusive open terrace area, but includes the area covered by the internal partition walls of the apartment. The Act mandates that a promoter shall deposit 70% of the amount realised from the allottees, from time to time, in a separate account to be maintained in a scheduled bank. This is intended to cover the cost of construction and the land cost and the amount deposited shall be used only for the concerned project. The promoter shall be entitled to withdraw the amounts from the separate account, to cover the cost of the project, in proportion to the percentage of completion of the project. However, such withdrawal can only be made after it is certified by an engineer, an architect and chartered accountant in practice that the withdrawal is in proportion to the percentage of completion of the project. The promoter is also required to get his accounts audited within six months after the end of every financial year by a practicing chartered accountant. , Further, he is required to produce a statement of accounts duly certified and signed by such chartered accountant, and it shall be verified during the audit that (i) the amounts collected for a particular project have been utilised for the project; and (ii) the withdrawal has been in compliance with the proportion to the percentage of completion of the project. Upon receipt of an application by the promoter, the Regulator Authority shall within a period of 30 days, grant or reject the registration. Upon granting a registration, the promoter will be provided with a registration number, including a login Id and password for accessing the website of the Regulatory Authority and to create his web page and to fill in the details of the proposed project. If the Regulatory Authority fails to grant or reject the application of the promoter within the period of 30 days, then the project shall be deemed to have been registered. The registration, if granted, will be valid until the period of completion of the project as committed by the promoter to the Regulatory Authority. This period shall be extended by the Regulatory Authority for a period not exceeding one year in aggregate, only due to force majeure and on payment of such fee as may be specified by regulations made by the Regulatory Authority. The Regulatory Authority may revoke the registration granted on receipt of a complaint or suo moto or on the recommendation of the competent authority in case (i) the promoter makes a default in doing anything required under the Act or the rules or regulations made thereunder; (ii) the promoter violates any terms of the approvals granted for the project; and (iii) the promoter is involved in any kind of unfair practice of irregularities. direct the scheduled bank holding the project bank account, to freeze the account and thereafter take such further necessary actions, including consequent de-freezing of the account, for facilitating the remaining development works in the manner mentioned above. such other information and documents as may be specified by the regulations made by the Regulatory Authority. The advertisement or prospectus issued or published by the promoter should prominently mention the website address of the Regulatory Authority, where all details of the registered project have been entered and include the registration number obtained from the Regulatory Authority and other similar details. Where any person makes an advance or a deposit on the basis of the information contained in the notice, advertisement or prospectus and sustains any loss or damage because of any incorrect, false statement included in these, he shall be compensated by the promoter in the manner as provided under the Act. Also, if the person affected by such incorrect, false statement contained in the notice, advertisement or prospectus, intends to withdraw from the proposed project, his entire investment (along with interest at such rate as may be prescribed and compensation in the manner provided under the Act), will be returned to him. A promoter shall not accept a sum more than 10% percent of the cost of the apartment, plot, or building, as the case may be, as an advance payment or an application fee, from a person without first entering into a written agreement of sale with such person and register the said agreement of sale, under any law for the time being in force. The promoter cannot make any addition or alteration in the approved and sanctioned plans, structural designs, specifications and amenities of the apartment, plot or building without the previous consent of the allottee. The promoter also cannot make any other addition or alteration in the approved and sanctioned plans, structural designs and specifications of the building and common areas within the project without the previous written consent of at least two-thirds of the allottees, other than the promoter, who have agreed to take apartments in such a building. In case any structural defect or any other defect in the workmanship, quality or provision of services or any other obligations of the promoters is brought to the notice of the promoter within a period of five years by the allottee from the date of handing over possession, the promoter shall rectify such defect without any further charge, within thirty days. If the promoter fails to rectify such defect within such time, the aggrieved allottee shall be entitled to receive appropriate compensation in the manner as provided in the Act. The promoter shall not transfer or assign his majority rights and liabilities in respect of a project to a third party without obtaining prior written consent from two-thirds of the allottees, except the promoter, and without the prior written approval of the Regulatory Authority. Please note that the allottee, irrespective of (i) the number of apartments or plots booked by him or booked in the name of his family; or (ii) in the case of other persons such as companies/firms/any association of individuals, by whatever name called, booked in its name or booked in the name of its associated entities/related enterprises, shall be considered as one allottee only. In case the promoter is unable to hand over possession of the apartment, plot or building to the allottee (i) in accordance with the terms of the agreement of sale; or (ii) due to discontinuance of his business as a promoter on account of suspension; or (iii) revocation of his registration or for any other reason, then the promoter shall be liable, on demand being made by the allottee, to return the amount received by him from the allottee with interest and compensation at the rate and manner as provided under the Act. This relief will be available without prejudice to any other remedy available to the allottee. However, where an allottee does not intend to withdraw from the project, he shall be paid interest by the promoter for every month of delay, till the handing over of the possession, at a prescribed rate. The same rate of interest will be payable by the allottee and the promoter in the event of their respective defaults. In the absence of any local laws, an association or society or cooperative society, as the case may be, of the allottees, shall be formed within a period of three months of the majority of allottees who have booked their plot or apartment or building, as the case may be, in the project. After the promoter executes an agreement for sale for any apartment, plot or building, no mortgage or charge can be created by the promoter on such apartment, plot or building. If any such mortgage or charge is created, then notwithstanding anything contained in any other law for the time being in force, it shall not affect the right and interest of the allottee who has taken or agreed to take such apartment, plot or building. The promoter may cancel the allotment only in terms of the agreement for sale. However, the allottee may approach the Regulatory Authority for relief, if he is aggrieved by such cancellation and such cancellation is not in accordance with the terms of the agreement for sale, is unilateral and without any sufficient cause. The promoter shall obtain insurance as may be notified by the appropriate Government, including but not limited to the title of the land and building and construction of the project. The promoter shall also be liable to pay the premium and charges in respect of the insurance. The promoter shall execute a registered conveyance deed in favour of the (i) allottee in respect of the apartment, plot or building; and (ii) association of allottees of competent authority in respect of the undivided proportionate title in the common areas, and hand over possession of the same within the period as specified under the local laws. In the absence of any local law, such conveyance deed shall be carried out by the promoter within three months from date of issue of the occupancy certificate. The promoter shall compensate the allottees in case of any loss caused to him due to defective title of the land in the manner as provided under the Act, and such claim for compensation shall not be barred by limitation provided under any law for the time being in force. Every allottee shall take physical possession of the apartment, plot or building as the case may be, within a period of two months of the occupancy certificate issued for the said apartment, plot or buildings. The Regulatory Authority shall make a recommendation to the appropriate Government on (i) creation of a single window system for ensuring time-bound project approvals and clearances for timely completion of the project; and (ii) creation of a transparent and robust grievance redressal mechanism against acts of omission and commission of competent authorities and their officials. In addition to the establishment of the Regulatory Authority, the Bill also proposes to establish a Real Estate Appellate Tribunal (Appellate Tribunal) within one year from the date of commencement of the Act. Any person aggrieved by any direction or decision made by the Regulatory Authority or by an adjudicating officer, may make an appeal before the Appellate Tribunal within a period of 60 days from the date of receipt of a copy of the order or direction. The Appellate Tribunal shall deal with the appeal as expeditiously as possible and endeavour shall me made to dispose of the appeal within a period of sixty days from the date of receipt of appeal. The Appellate Tribunal shall have same powers as a civil court and shall be deemed to be a civil court. An appeal against the order of the Appellate Tribunal may be filed before the jurisdictional High Court within a period of sixty days from the date of communication of the decision or order of the Appellate Tribunal. For adjudging the compensation to be paid by the promoter in accordance with the provisions of the Act, the Regulatory Authority shall appoint (in consultation with the appropriate Government) one or more judicial officers as deemed necessary, who is or has been a District Judge, to be an adjudicating officer for holding an inquiry in this regard. However, such an appointment will be made after giving any person concerned a reasonable opportunity of being heard. In case the promoter provides any false information while making an application to the Regulatory Authority or contravenes any other provision of the Act – the penalty may be up to 5% of the estimated cost of the project or construction. These penal provisions have also been prescribed for any contravention or violation committed by the real estate agent or the allottee. If any allottee fails to comply with, or contravenes any of the orders, decisions or directions of the Regularity Authority, there may be a penalty for the period during which such default continues, which may cumulatively extend up to 5% of the cost of the plot, apartment or building, as the case may be, as determined by the Regulatory Authority. Further, if any allottee fails to comply with, or contravenes any of the orders or directions of the Appellate Tribunal, this may entail imprisonment up to one year or with fine for every day during which such default continues, which may cumulatively extend up to 10% of the cost of the plot, apartment or building, as the case may be, or with both. The provisions of this Act shall have an overriding effect in case there is any inconsistency between the provisions contained in this Act and in any other law (including a state law) for the time being in force. The Maharashtra Housing (Regulation and Development) Act 2012 has been repealed by the Central Government. In essence, the Real estate Bill intends to increase transparency and accountability in the real estate sector, by providing mechanisms to facilitate and regulate the sale and purchase of commercial and residential units/projects and timely completion of projects by the promoters. Real estate bill to be implemented from May 1st 2017. Now, the challenge before the Government is to keep a check how efficiently it is functioning. Author keerthiPosted on May 1, 2017 May 1, 2017 Categories Loanyantra, Real Estate, reraTags real estate act, real estate bill, reraLeave a comment on Real Estate Bill – The Salient Features.